This afternoon, between dropping stuff off at a friend's house, taking a bag to the charity shop, and forty other errands, I heard a heinous racket coming from the front window. I went into the living room to find Sloan going ballistic over a ferocious beast a hedghog the size of my foot. I've desperately wanted a hedgehog in our garden ever since we moved here, but I figured that they, like most other wildlife, would decline fraternizing with the Small Fries. 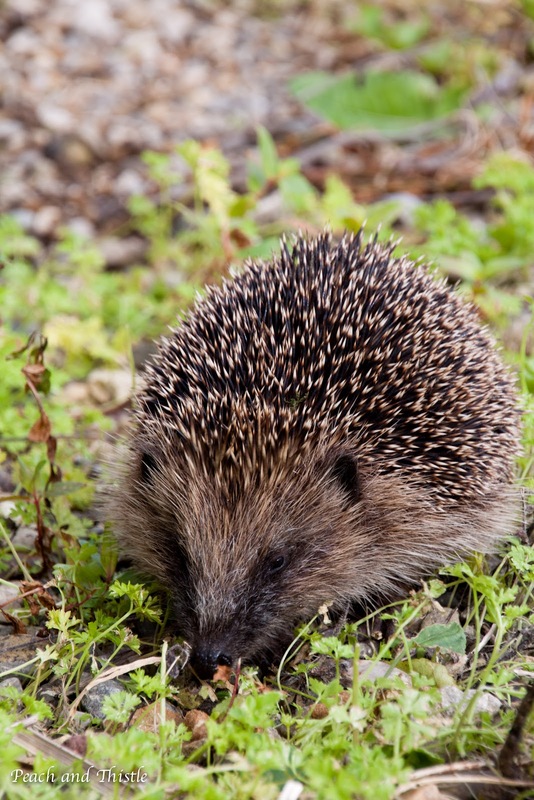 I've found hedgehogs (singular each time) at my compost bin a few times, but never had a permanent hedge-resident like some of my friends. We were lucky enough to have what Paul called a chupacabra but what I am pretty sure was just a fox in some brush in our back garden last winter- but no hedgehog. Okay, so he's already left, so not a permanent resident. I put out some cat food (the recommended food) and started snapping away- but the poor little dude jumped with every shutter click! I managed to get a few, though, and I'm happy! I love his little ears!! Paul got home while I was out, and when he called me to ask where I was (we'd been planning to meet up. Whoops!) the first thing I asked him was "YOU DIDN'T HIT THE HEDGEHOG, DID YOU?!?!" and turns out our neighbor's toy poodle was barking at it when he got home. 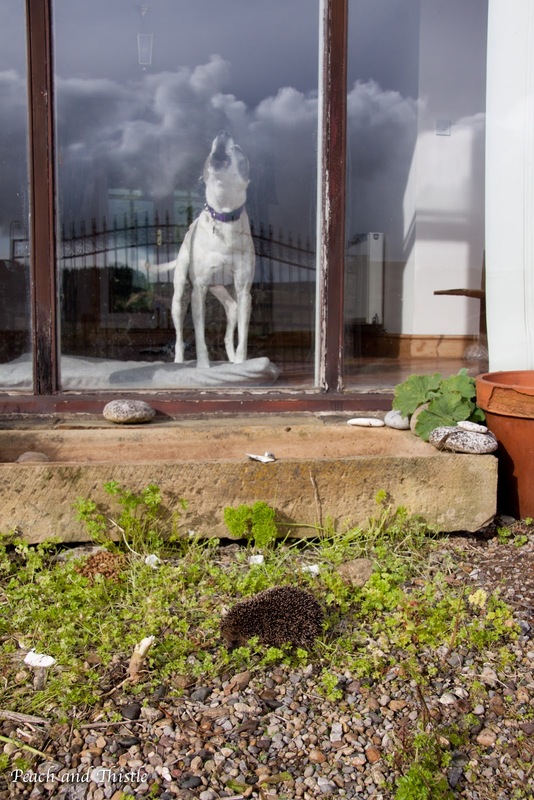 So I'm guessing the hedgehog decided the cat food is not worth the insane dogs at this property. Sad. That hedgehog is such a cutie! It's so cute! I can see why you wanted to attract them. AH!!! No joke - I just had this conversation with Richard and his parents at tea on Friday about how much I want to see a hedgehog! 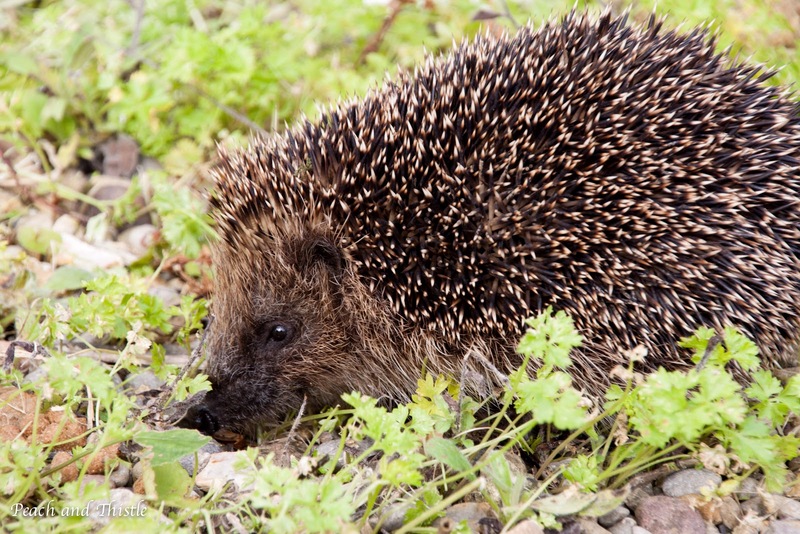 They all think I am crazy, especially when they heard I've only ever seen a hedgehog in the zoo before! Ha! My parents have a friendly(ish) hedgehog that lives in their garden. 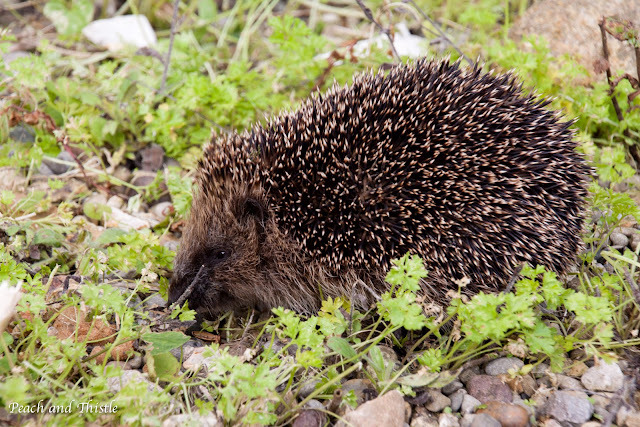 He comes out during the day and sunbathes on the terrace outside the kitchen window (I thought they were nocturnal?)... wonder if he'll stick around once Scoop moves in?! OH MY GOD SO CUTE WHY DO WE NOT HAVE THEM IN AMERICA? porcupines aren't a good substitution. I WANT A HEDGEHOG. our lab woke us up in the middle of the night once, barking like a crazy dog, at a possum walking across the top of our fence. it took me like 5 minutes to spot it. I couldn't figure out what the heck is wrong with him!